In exchange for a “Like” on Facebook, Fearless Records is giving away a free download of a label sampler. The sampler features brand new songs from Sparks The Rescue and Go Radio. 8. The Aquabats – The Shark Fighter! “Perfect Is The Word”, “Rocket”, and “Upper Room” have been confirmed by Kid Cudi to be the first three singles off of his upcoming Wizard album. He announced the singles and even played the first two while on Ustream last night, celebrating his 27th birthday. Happy birthday Scott! Check out a preview of “Rocket”, the second single, from the UStream session last night below, recorded and uploaded by a fan who was in the Ustream room. Ace Enders of I Can Make A Mess Like Nobody’s Business is starting a new project on Kickstarter to help him and hundreds of other independent bands. You can donate here. Recent Warner Bros. signee XV dropped his latest track “SmallVille” a few days ago, collaborating with fellow rapper J. Cole. While Cole doesn’t grace us with a new verse, he crafts a superb track as producer, sampling The Smashing Pumpkins‘ “To Forgive”. Needless to say, XV goes in on the track, dropping clever line after clever line – “They’ll never steal my dreams like Leo DiCaprio.” – all while chronicling his relatively meteoric rise to fame. I haven’t watched the TV show Smallville, so I’m not entirely sure how the track relates, but Vizzy’s superhero references are smooth over J. Cole’s mellow, bass-heavy beat, taking the artistic liberty to add superhero inspired rhymes to the sampled chorus. Stream and download the song below. “Smallville (Prod. J. Cole)” was released via Twitter; happy birthday to J. Cole! XV is expected to release his highly-anticipated album The Kid With The Green Backpack later this year. State Radio have announced tour dates throughout March and April. The tour will take the band throughout the United States, ending with dates at the Bamboozle Festival. Piano ballad “Glass Cities” closes The Fair Weathered‘s debut album Last Year slowly and passionately. The track, part pop-punk and part piano rock, primarily features the soothing voice of vocalist and guitarist Tom McQuade, who carries the song with the emotion and passion of his words. The trio, though young, has no doubt experienced the same emotional troubles that pretty much every band in the genre has, and “Glass Cities” is their reflection on the world and their changing lives, opening with the claim, “I can’t explain feelings that I see, like neon skies and these glass cities.” Towards the end of the song, Tom raises his voice and the drums and guitar join in, launching the listener into an inspiring breakdown that ultimately ends the song. For such a low-budget production (see music video), “Glass Cities” is a great song and a fantastic closer for the band’s first album. “Glass Cities” is from Last Year, out now. Having just finished a European tour with MGMT, Smith Westerns are beginning a US tour this week. They will be joined by Yuck, over from the UK for the first time. Check out the tour dates below. Panda Bear has revealed the album art for his upcoming album Tomboy. 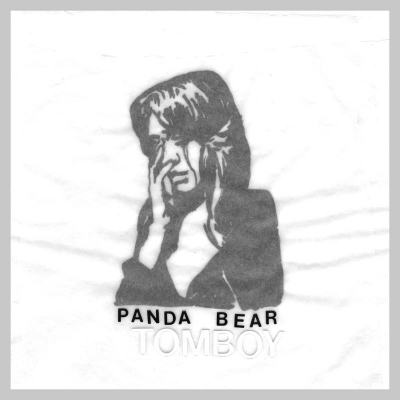 The cover art for Tomboy and for all of the singles leading up to Tomboy were created by Scott Mou. Mou is also a member of another band, Jane, with Panda Bear. Tomboy will be released on April 12, 2011 via Paw Tracks, a week earlier than the originally announced release date. Does It Offend You, Yeah? have reportedly finished their sophomore album Don’t Say We Didn’t Warn You, which is scheduled for a March 15th release via The End Records/Cooking Vinyl. You can listen to the new single “The Monkeys Are Coming” on Soundcloud, courtesy of Some Kind of Awesome.